Delta is adding seven nonstop destinations from Seattle, making 2017 its fifth consecutive year of growth at its Pacific Northwest hub. The new destinations include: Austin, Texas; Eugene, Oregon; Lihue, Hawaii; Milwaukee, Wisc. ; Nashville, Tenn.; Raleigh, N.C.; and Redmond, Oregon. Flights will be for sale beginning Saturday, Jan. 14. With these additions, Delta will offer 160 peak-day flights to 49 destinations – including 16 of the top 20 destinations – from its Seattle hub this summer. Customers in Seattle have access to a global network with strong non-stop coverage throughout North America, including service to all of the top destinations on the West Coast; access to the East Coast and Midwest through hubs as well as new or expanded non-stop service to Austin, Boston, Milwaukee, Nashville, Orlando, and Raleigh; and flights to all of the top destinations in Hawaii and key cities in Alaska and Canada. One daily flight to General Mitchell Airport in Milwaukee beginning March 9, 2017. Three daily flights to Eugene Airport beginning April 1, 2017. One daily flight to Nashville International Airport beginning May 26, 2017. One daily flight to Raleigh-Durham International Airport beginning June 8, 2017. One daily flight to Austin Bergstrom International Airport beginning June 12, 2017. Two daily flights to Redmond Municipal Airport beginning June 12, 2017. One daily flight to Lihue Airport beginning Dec. 21, 2017. 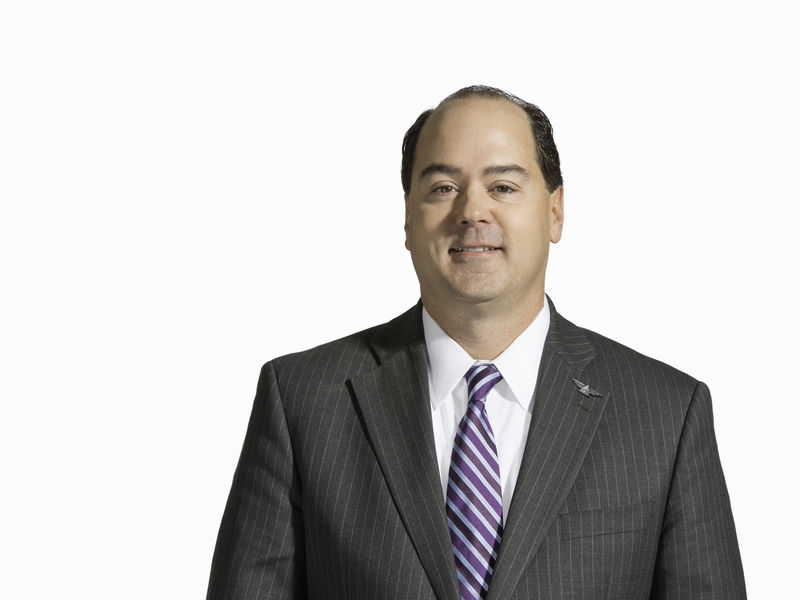 Flights to Austin and Nashville will operate using Airbus A319 aircraft, which have recently been upgraded and offer on-demand inflight entertainment for all passengers. Redmond and Eugene service will be operated by Delta Connection carrier SkyWest using two-class, 69-seat CRJ-700 jets. SkyWest will also operate Milwaukee service using an E-175 aircraft, while Delta will serve Lihue on a Boeing 757 and Raleigh on a Boeing 737 aircraft. In addition to the new destinations, Delta will also expand service to existing destinations from Seattle. The airline will operate a second daily flight to Boston and Orlando, an eighth daily flight to Portland as well as a fifth daily flight to San Diego. Additionally, several flights to San Francisco and Denver will be upgraded to larger mainline aircraft. Delta will celebrate other Seattle milestones in 2017. On March 26, Delta’s joint venture partner Virgin Atlantic will begin Boeing 787 service from Seattle to London-Heathrow, replacing the flight currently operated by Delta and adding 50 seats as well as Premium Economy service. Delta and its joint venture partners serve more long-haul international destinations from Seattle than any other carrier, including the top five destinations in Asia and three in Europe. Additionally, the Port of Seattle is expected to break ground on a world-class International Arrivals Facility in early 2017. Delta is the largest global carrier at Sea-Tac and has more than tripled flights and destinations at its Seattle hub since 2012. Every Delta flight from Seattle features jet service with Delta One/First Class and Delta Comfort+ seating. Free entertainment is available via Delta Studio, and Wi-Fi is available on all long-haul international flights and on nearly every domestic flight operating in the contiguous U.S. The airline opened a 21,000 sq. ft. Delta Sky Club – the third largest Sky Club in Delta’s system – located between Concourses A and B in late 2016. Delta people are active members of the Seattle community, giving their time and resources to more than 100 organizations close to the hearts of Seattleites, including Habitat for Humanity – Seattle King County, Boys & Girls Club of King County, PATH, Seattle Theatre Group, Seattle Pride and End AIDS Walk Seattle, among others. The airline has hired more than 1,000 employees since 2013, and its expansion at Sea-Tac is estimated to contribute $571 million annually in total economic output. 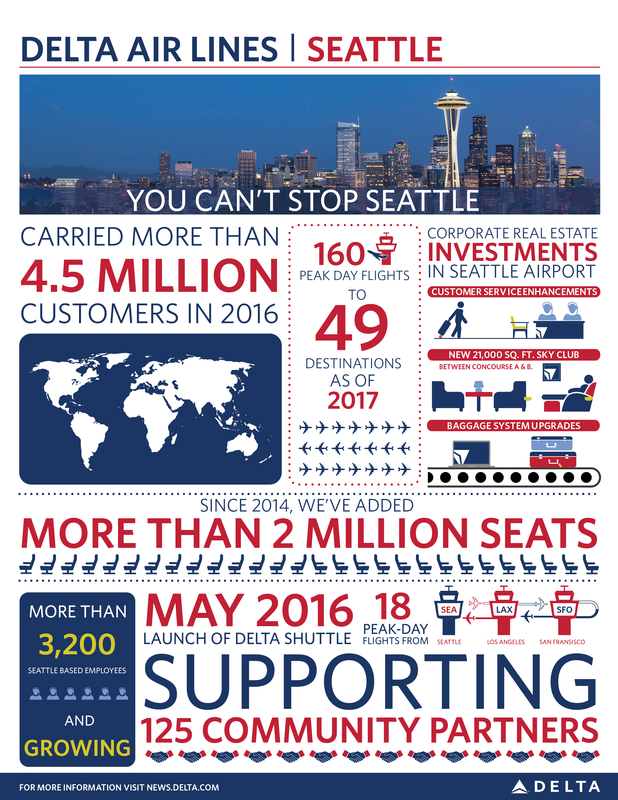 In 2016, Delta paid out more than $53 million in profit sharing to its Seattle employees and committed to contributing 1 percent of its net income from the previous year to key charitable organizations, including organizations in Seattle. Delta is one of the world’s largest operators of Boeing aircraft, with more than 700 Boeing jets flying around the globe each day.